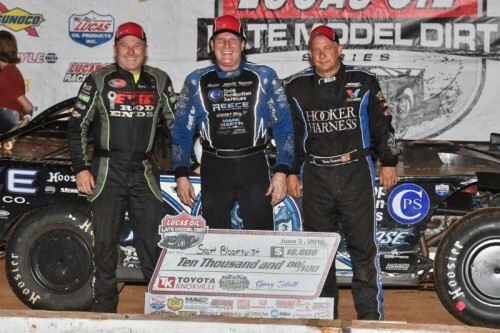 TAZEWELL, TN (June 3, 2016) – In a battle of two home-state Lucas Oil Late Model Dirt Series rivals, Scott Bloomquist fought off all challenges by Jimmy Owens to win the Toyota Knoxville 50 at Tazewell Speedway on Friday. Bloomquist led every lap; the only exception that his car was not in front of the pack is when Owens made a slide job in turn 2 with 12 laps-to-go to briefly take the lead. Owens could not make his car stick and Bloomquist went back around him to regain the top spot. Trailing Bloomquist and Owens to the checkers were 12th place starter Steve Francis, Dennis Erb Jr., and Don O’Neal. O’Neal rallied after suffering a flat tire while running in fourth early in the race. Bloomquist went to Lucas Oil Victory Lane for the fifth time this year and extended his all-time series win total to 67 victories. “We were just trying to be careful through traffic and then we went for it. Jimmy [Owens] did a little too much of a slide there and it took him a while to gather his momentum back up. We just turned under him and got back around him,” said the 52-year-old Hall of Famer. Bloomquist also closed on point leader Jonathan Davenport, who failed to finish the event as he dropped out of the race with two laps remaining. Owens was looking for his second straight LOLMDS victory after last weekend’s Show-Me 100 victory. “We had a good car tonight, but Scott was just a tick better. I slid by him that one time, but I just couldn’t get it straightened back out quick enough and he got back around me. I want to thank everybody for coming out tonight. This R&W Motorsports Team is really clicking right now. Scott beat us in that heat race and that was a big difference. I felt like we had a car that could have won, but to finish second here we will take that and head to Florence tomorrow night,” said Owens. 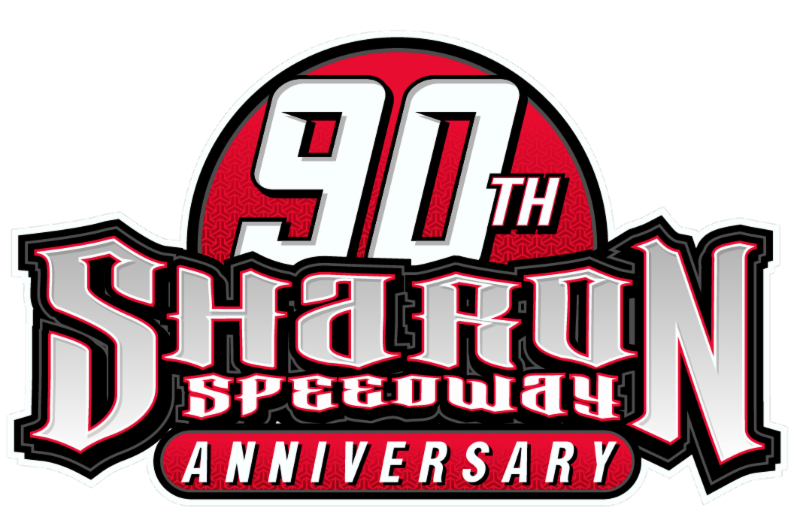 Completing the top ten were Jared Landers, Chad Ogle, Billy Ogle Jr., Brandon Sheppard and Donald McIntosh. In preliminary action, Jimmy Owens set the overall Miller Welders Fast Time amongst the 25 entrants, with a lap of 11.380 seconds. Scott Bloomquist, Don O’Neal and Jonathan Davenport won their respective heat races.